Tags: Changes are coming to the Driving Test on Monday 4 December. The driving test in England, Scotland and Wales will change from Monday 4 December 2017. To be a Franchisee or not? 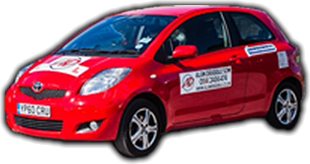 I am often told when asked by people for details of our Driving Instructor training packages that they don't want to be part of a franchise, or they want to be their own boss. Learners required to do 120 hours before test? I am pleased to announce Alan Drabble School of Motoring is now back on the Official Register of Driving Instructor Training. All ADSOM instructors fully support the amendments to the testing system, and the trial currently under way at selected test centres. Do we always look at junctions? If so what for? The things we look for at junctions - what are they? When you look out of a junction what are you looking for? Cars? Trucks? Winter tyres: what are they?? Why you should be using them during winter months rather than normal tyres?? While it has always been illegal to drive whilst unfit through drink or drug, since 2nd March 2015 it is now an offence to drive while over the prescribed limit. This means that driving while unfit due to medication carries the same consequences as drink driving.